MORIS (MIT Optical Rapid Imaging System) is an facility science camera used for observing on the IRTF. This high-speed, visible wavelength camera is mounted on the side window of SpeX, an near-IR imager and spectrograph. The design is based on POETS (Portable Occultation, Eclipse, and Transit System), which was developed by MIT and Williams Colleges. The MORIS VNC is stefan:12 VNC. The User Manual is located on the Observers Document page. MORIS was built as a joint MIT/IRTF project. The original MORIS web page is hosted by MIT at: http://occult.mit.edu/instrumentation/MORIS/. This excellent web site documents MORIS's construction and Windows based enviroment. After MORIS came to the IRTF, a project to run the camera using with a IRTF like interface (XUI, DV) under linux was started in 2011. This site documents the IRTF development effort. 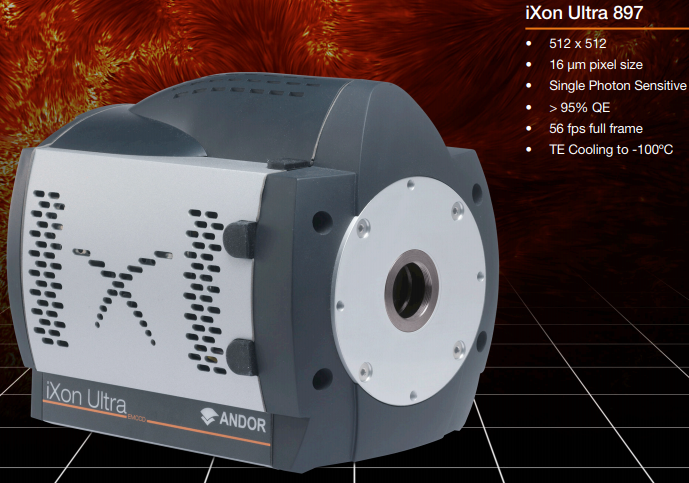 2016-11 - IXON Ultra SN X-10936 (USB) replaces the IXON (PCI) camera purchased in 2007, to address camera startup issues. The new camera, purchased for the MIRSI Optical Camera (MOC), became MORIS's new camera. The MORIS PC's OS, drivers, and software was also updated from CentOS5 linux, WinXP to CentOS6, Win7, new Andor LinuxSDK, and SOLIS. 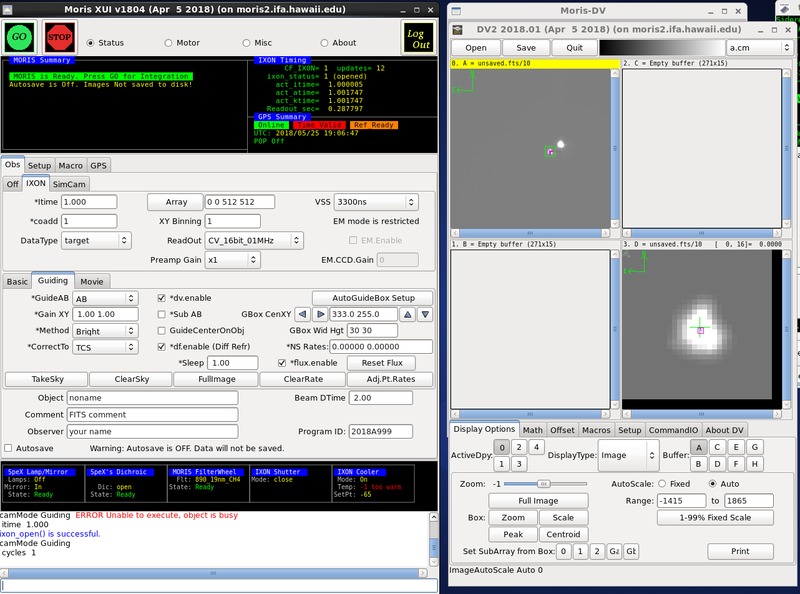 2012 - MORIS Linux software becomes the default version for observation. Familar XUI/DV interface, Integration with the TCS, guide mode for Spex, and differential refraction becomes available with the linux software. 2011-02 - MORIS becomes a facility instrument at the IRTF, on the 2011A schedule. Work on MORIS's Linux software begins at the IRTF. 2010-10 - MORIS presented at AAS DPS Meeting. 2010-08 - MORIS remounted on Spex. Work to improve MORIS over the last 2 years included: improved optical components, revised Foreoptics box, improved baffles, filter wheel (motorized), new filters, protective frame. 2008-05 - 1st science observation. 2008-04 - Instrument shipped from MIT to IRTF. 2007 - Start of Project. IXon camera purchased. Design begins.